Odds are New York City has seen better summers. In addition to the sweltering weather, NYC is now dealing with a Legionnaires outbreak in the Bronx that’s infected over fifty people and killed four. Right now the city is searching for answers about origin and impact, while many citizens are left wondering just what kind of risk they face. 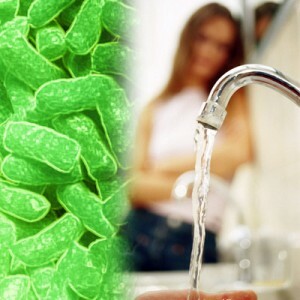 Legionellosis is caused by the Legionella bacteria and manifests as a severe form of pneumonia. The only way to become infected is by inhaling contaminated aerosols from cooling towers, hot tubs, showers, faucets, or drinking water—anywhere water mist is present. 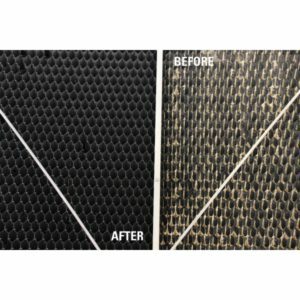 With large-scale air conditioners running overtime during the summer months the amount of airborne water increases significantly. And in settings such as hospital or long-term care centers, the result is often an outbreak of Legionnaires. It’s worth noting that you cannot spread the disease person-to-person and while it can be fatal for those with preexisting health conditions—such as the elderly or heavy smokers—most cases clear up quickly with a course of antibiotics. Since July 10th, the Bronx has been experiencing what the state Health Department calls an “unusual increase” of cases, especially since they’ve yet to determine the source. According to the New York Daily News, there are several front-runners for patient zero of the current Legionnaires outbreak, but no confirmed epicenter yet. 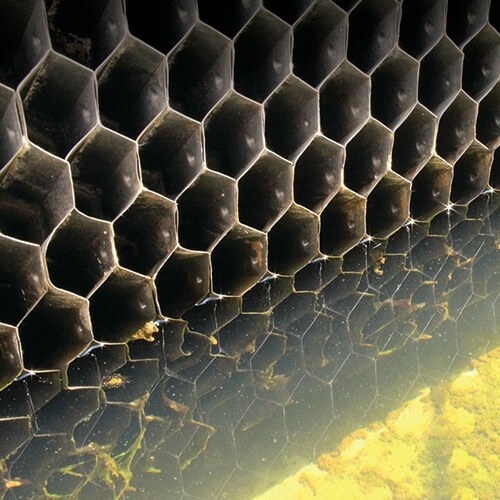 Origin type, however, is almost certain—the most likely candidate is an infected cooling tower. These towers are the ideal place for Legionella to flourish, and if towers aren’t properly treated on a regular basis, bacteria quickly spreads to the potable water supply. Health officials have confirmed that Lincoln Medical Center has treated several patients with Legionnaires, but don’t believe this is ground zero since no staff or patients at the hospital have become infected. The problem? 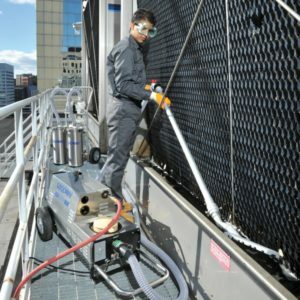 Cooling tower contamination is so common in water-handling facilities that there are always multiple strains threatening municipalities—it’s only meticulous, consistent tower cleaning that keeps Legionella under control. So what’s the bottom line for hospitals and other facilities that rely on cooling towers? 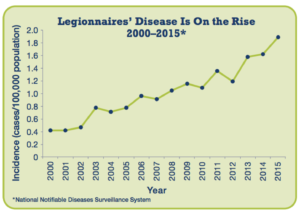 Does the prevalence and tenacity of Legionella make this a losing battle? Unfortunately, it depends on who you ask. For example, ASHRAE just released new guidelines for Legionella minimum risk management, such as the creation of a risk management team and water management program, which must be evaluated and enacted on a daily basis. The big benefit here? Instead of waiting for the next Legionellosis outbreak and hoping the problem is caught sooner rather than later, companies can develop a daily tower cleaning program which focuses on the removal of scale and dangerous biological buildup. Following ASHRAE guidelines and other health agency best practices, it’s possible to sprint past Legionella rather than running out of breath. The Bronx is under threat right now from the double-whammy of summer heat and a Legionnaires’ outbreak. For other cities—and facilities—to avoid the same fate, they require the dual benefit actionable guidelines and cutting-edge technology. We’re so used to thinking of climate-control units in terms of our comfort, it’s easy to forget the impact they can have on our health, especially if they’re not properly maintained. Thank you for summarizing the Legionnaires outbreak so well.